Weekends are always so fun and relaxing, and this one was no exception. 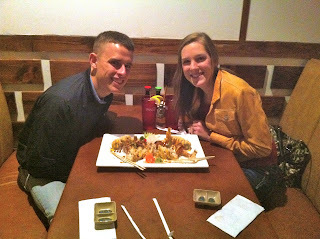 Parker and I kicked off the weekend with dinner at our favorite sushi place, Kappa. If you are in Pensacola, I highly recommend it! We aren't the type of people that crave sushi every week, but this place totally satisfies the hunger when we do. 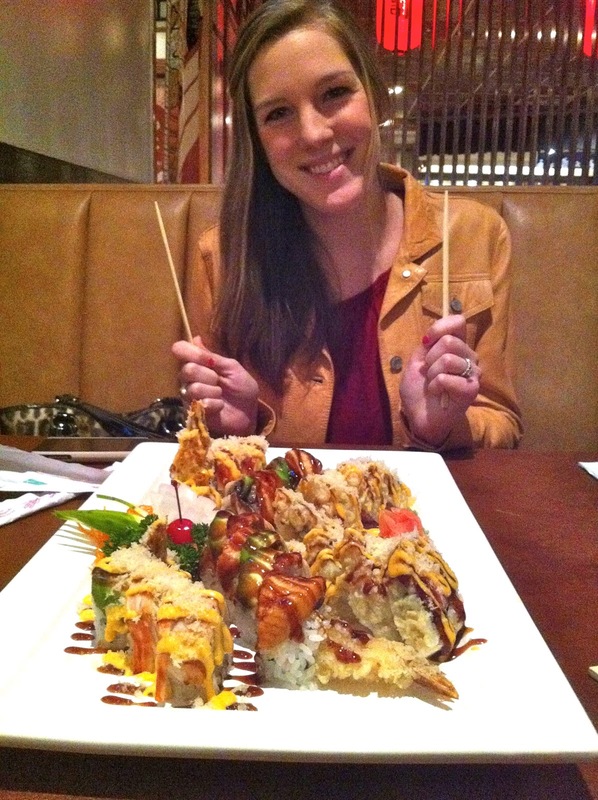 After consuming more sushi than any two people should in one sitting (who can say no to all you can eat sushi? 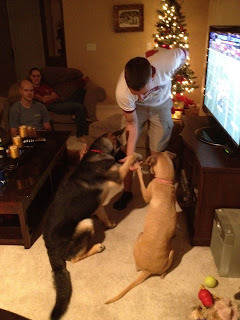 ), we waddled on out and met our friends for Bingo. 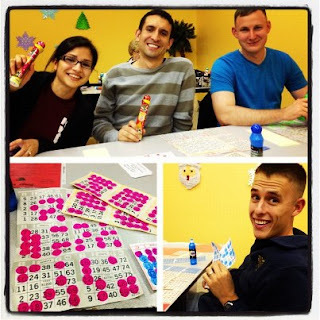 Neither of us had ever been to a Bingo Hall, and Parker was not completely thrilled at first, but we ended up having so much fun! One thing's for sure, people take Bingo seriously. We were just there to have a good time and hang out with our friends. Of course it would have been nice to win, but our group wasn't so lucky. All of the people there were clearly regulars and all knew each other. We stuck out like sore thumbs, but we didn't care. The lady in front of us had a Bingo bag filled with all of the Bingo gear you can imagine. This lady also went home with $300, so more power to her! It was fun to do something different and be those cool kids who played Bingo on Friday night! Saturday we slept in and had breakfast in bed...pretty hard to beat! We worked around the house and just enjoyed the lazy Saturday morning. The Haby's, Stew's, and Ryan C. came over that afternoon to watch the SEC championship, and it was fun to watch Alabama win it! The one picture I managed to get was of Jenny and Bruce (the Stewart's adorable German Shepherd puppy) "shaking" at the same time. How cute are they? !